Детальное описание Igor Mazepa на нашем сайте. This Elvis Presley biography Elvis Presley √ his Military service page is dedicated to providing quality Elvis Presley biography information, pictures and articles for your entertainment. The contents of this Elvis Presley site is written by a fan for his fans about Elvis Presley √ his Military service . On December 20, 1957, Presley received his draft notice for 2-year service with the United States Army. On March 24, 1958, he was inducted into the Army at the Memphis Draft Board. Presley received no special treatment and was widely praised for not avoiding service or serving part time in easy domestic positions such as the Special Services. The media speculated on whether or not two years out of the limelight would damage to his career. 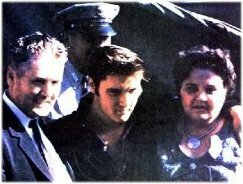 During his service, Elvis met Walter Alden, who was a sergeant and in charge of public relations. Years later Elvis would date Alden's daughter, Ginger. Presley sailed to Europe on the USS General George M. Randall (AP-115) and served in Germany, attaining the rank of sergeant. He returned to the United States on March 2, 1960 and was honorably discharged on March 5th. Elvis bought his mother a house in Memphis at 1034 Audubon. He lived there briefly before he moved to Graceland. In 1958 after Elvis was drafted and sent to Fort Hood in Texas Gladys and Vernon moved to the nearest town to the base, Killeen. While in Texas Gladys became increasingly ill and died. Elvis and Vernon were saddened by her death. In August Elvis was finally granted "compassionate leave" to be able to visit his mother and hold a vigil by her hospital bedside as her condition quickly deteriorated. Her favorite gospel group, The Blackwood Brothers, sang at her funeral. She was buried at Forest Hill Cemetery. 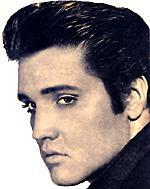 Years later when Elvis was buried there his body was attempted to be stolen by grave robbers. Her body was moved to the Meditation Garden at Graceland. Priscilla Beaulieu, a teenage daughter of an Army officer that Presley had met while in Germany. Captain Joseph Beaulieu is transferred from Texas to Weisbaden Air Force Base near Friedberg, accompanied by his wife and children, including his fourteen-and-a-half- year-old stepdaughter, Priscilla Ann. Through a mutual friend, Priscilla is invited to a party at Elvis’s home. Priscilla Beaulieu, visited Graceland during Christmas 1960. In early 1961 she moved in, it was said, under the supervision of Vernon and Davada. The press went along with the spin Colonel Parker put on the story, and few seemed to care the King of Rock and Roll was sharing his house with a teenaged girlfriend. Priscilla Ann Beauieu, the woman he would marry. On May 1, 1967 (at 9:30 am) Elvis and Priscilla are married at the Aladdin Hotel in Las Vegas, followed by a honeymoon in Palm Springs. On May 29th, they hold a second reception at Graceland for friends and family unable to be at the Las Vegas ceremony.